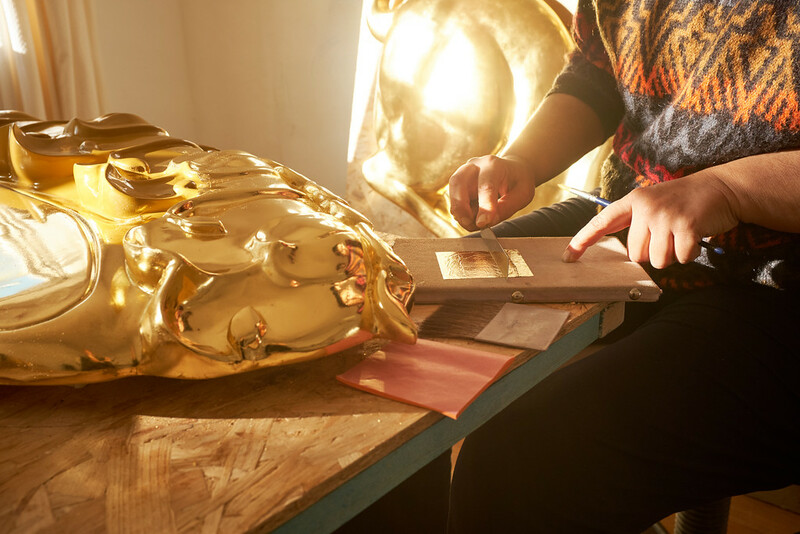 Where does the gold come from? 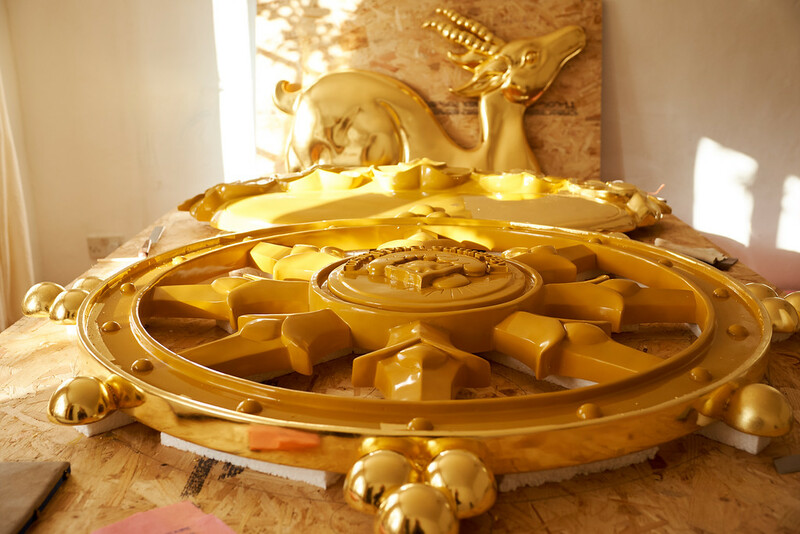 The first thing you see when you approach a Temple is the glistening gold of the vajras, deer and Dharma wheels. 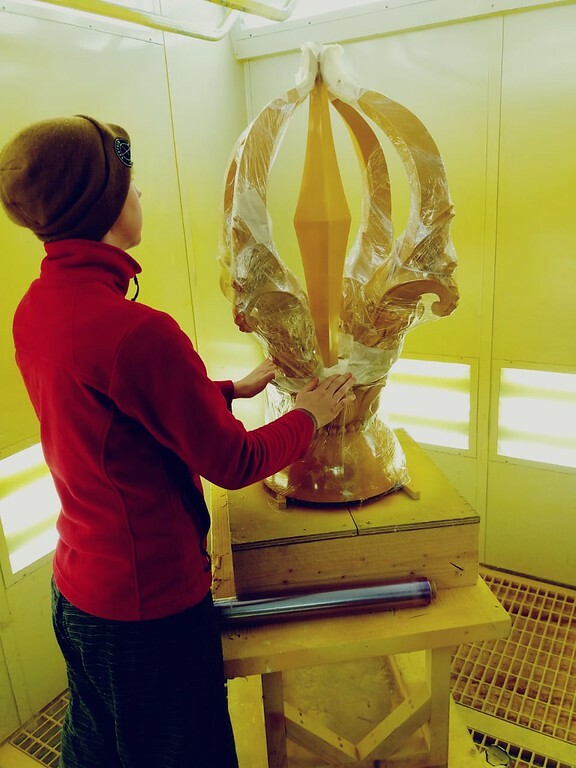 If you have been following the posts from the Kadampa Art Studio in recent weeks you will have seen how hours and hours of sanding and filling go into each of these objects after they are cast. But what happens next? 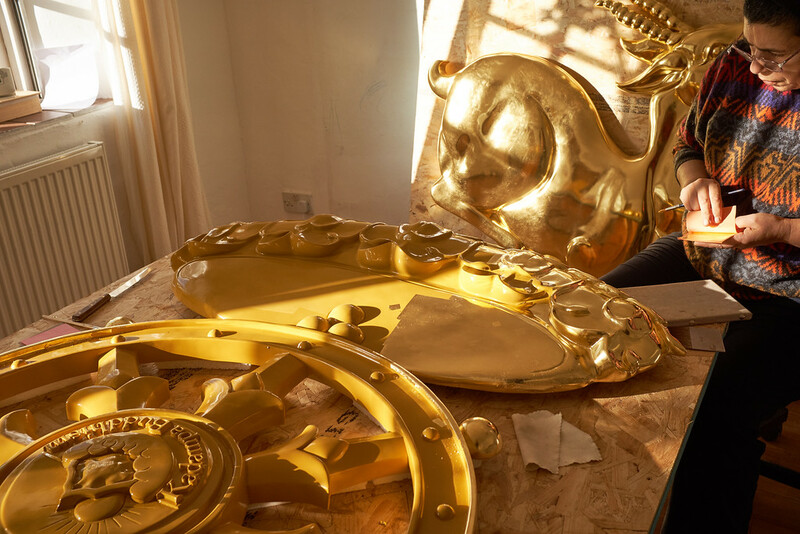 Where does the gold come from? 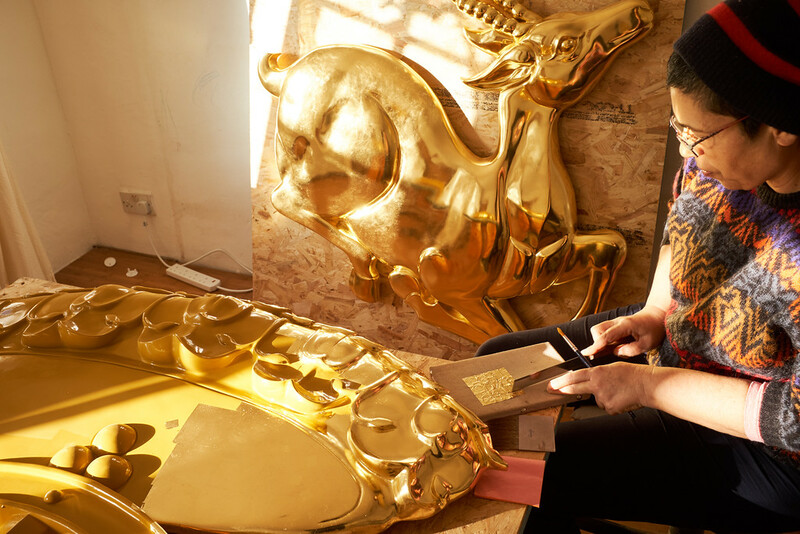 This is accomplished by applying gold leaf in a process called gilding. 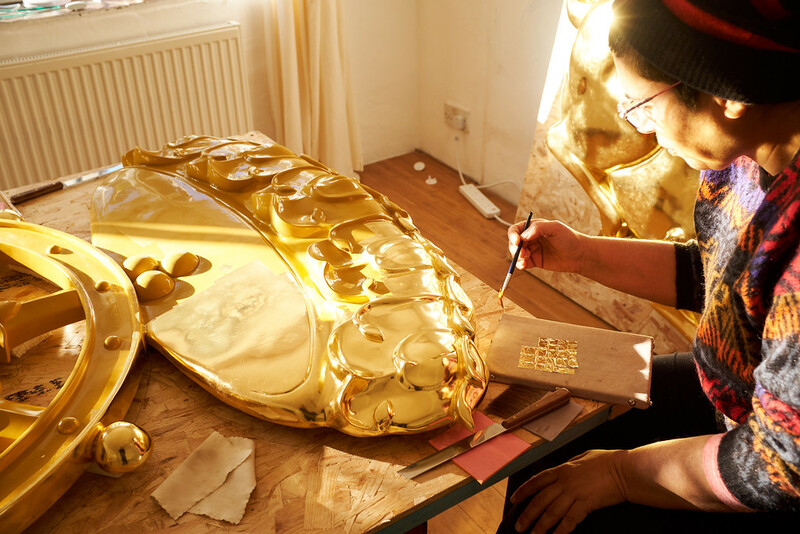 Gold leaf is gold that has been hammered into thin sheets. 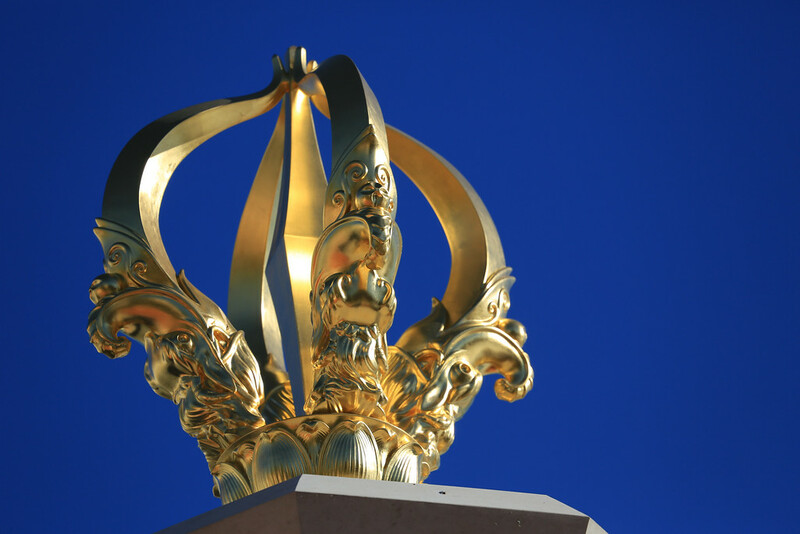 The gold used on the Temple is 23.5 carat. For the leaf to adhere to the object, the surface must first be sized with a special substance. 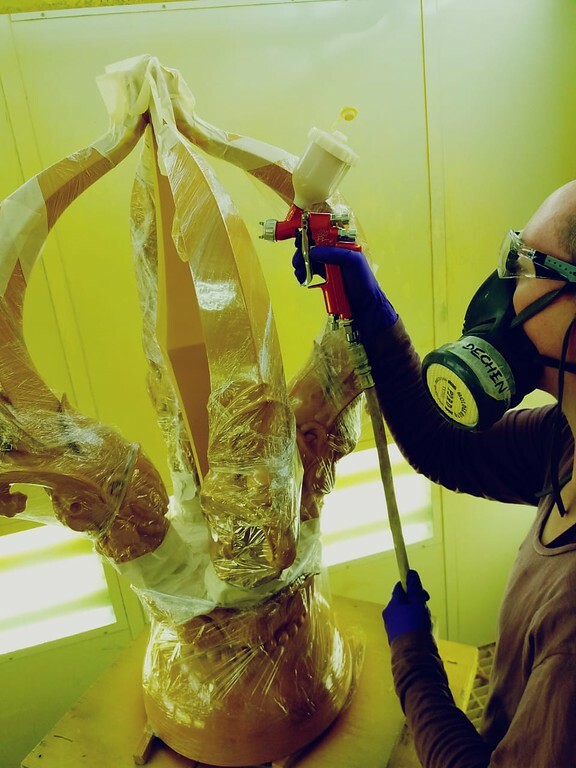 Until recently the size was applied by hand using a brush, but this was a long and painstaking process so the Studio developed a revolutionary new technique whereby it could be sprayed on. This has significantly speeded up the production process. 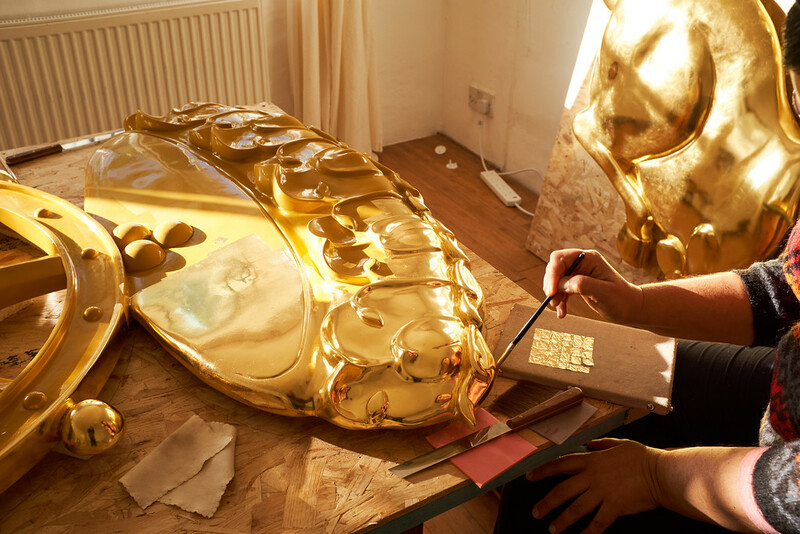 So experienced and innovative is the gilding work at the Studio that the company that supplies the leaf and the size recently said that the people in the Studio know more about the process than they do! 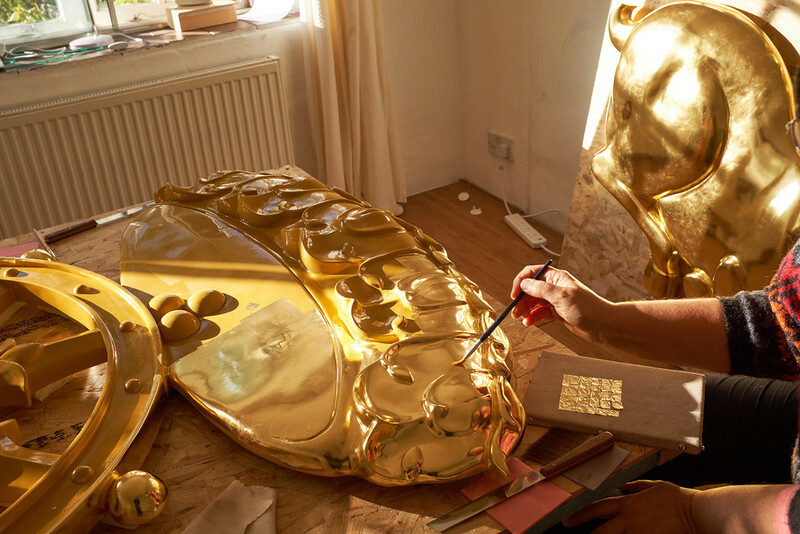 In fact, the new process developed at the Studio has doubled the longevity of the gold leaf on the external Temple adornments. 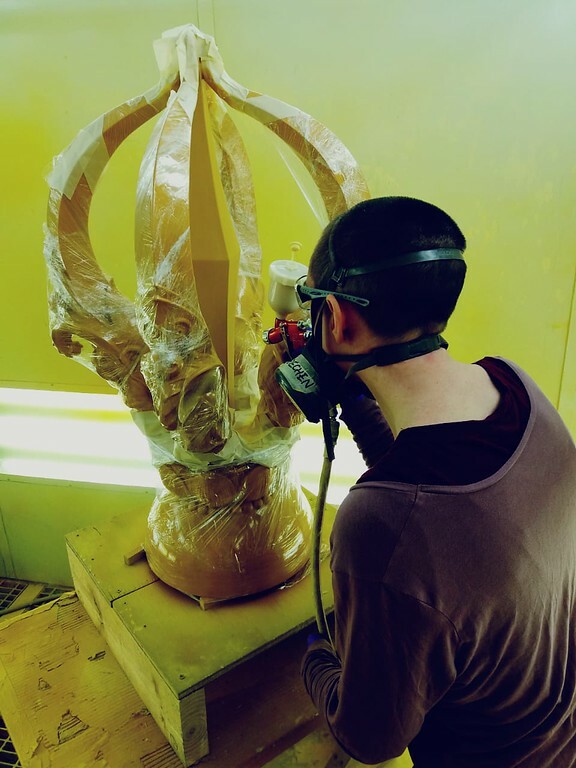 This is a very delicate and painstaking process that requires great care and concentration. 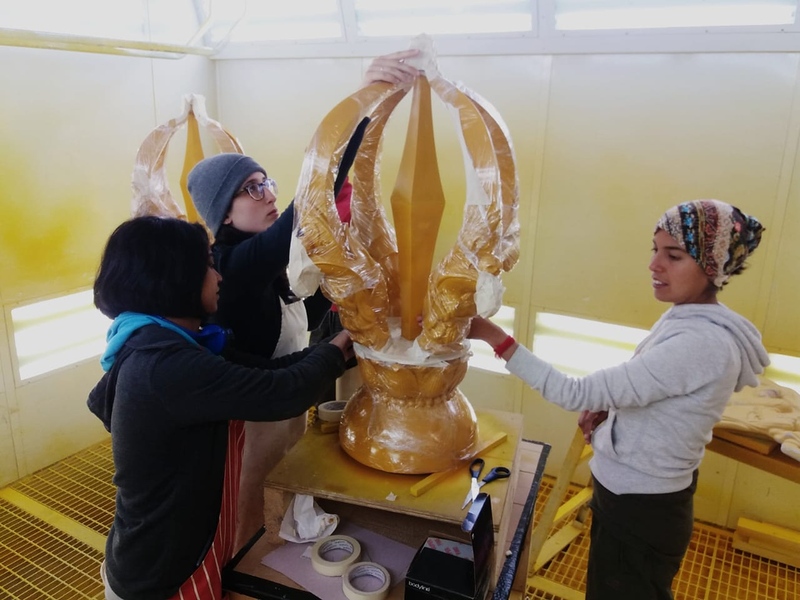 Once the size is applied and dried, the object is moved to the gilding workshop, which may be at Manjushri or on-site, such as at IKRC Grand Canyon. 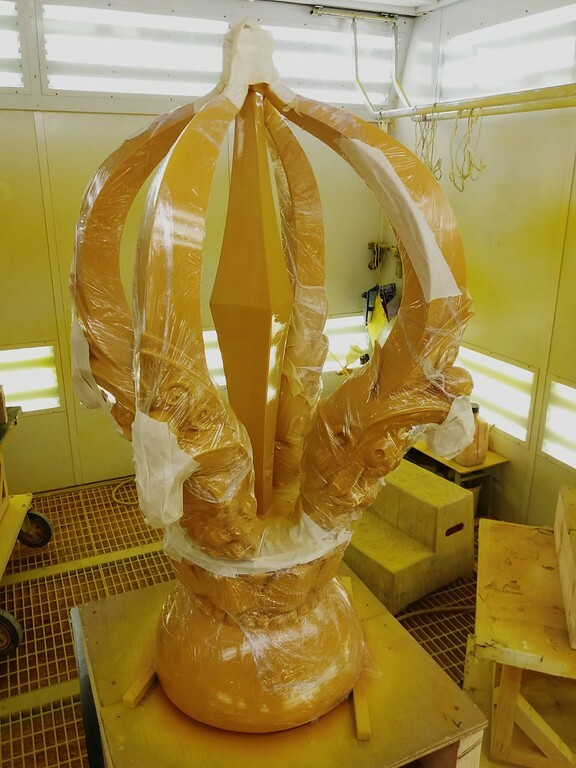 The size is then activated by applying a special compound and the leaf applied. 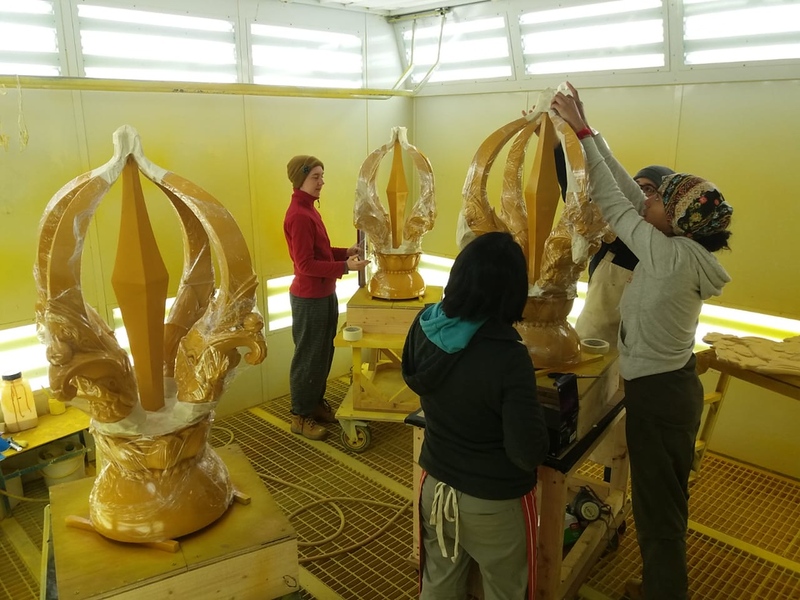 How fortunate we are to have such dedicated people working diligently to make Venerable Geshe-la’s vision become a reality.